Lord Luciano, ATA approved stallion, was bred and raised at Tylord Farm, Benson VT. 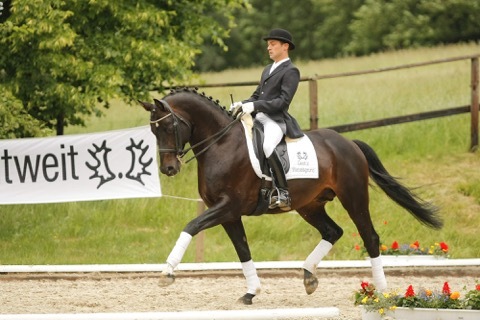 He was transported to Germany and was approved into the Verband Trakehner Studbook. Owner Debra Tyler was awarded an ATF grant to help cover the costs of his training and competition expenses in Europe. Copyright © American Trakehner Foundation. All rights reserved.